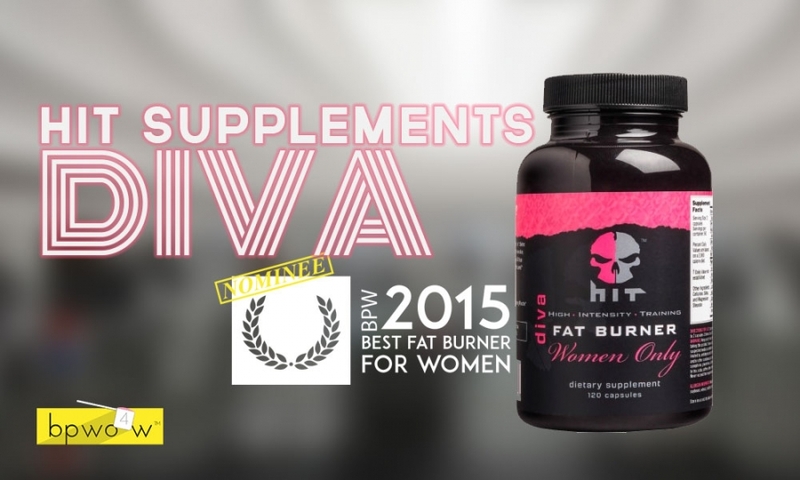 HIT Supplements Diva Review - Does This Fat Burner Perform? I have tried their pre workout Igniter Extreme a long time ago, and a actually really liked it. This is a product that took home the fifth place in my first ever BPW Top Ten Pre Workouts for Women. Hard to believe that was three years ago! Time flies. But yeah the point is that I was super impressed with the quality of HIT Supplements pre workout for women, so I was comfortable giving their fat burner a shot. The second reason why i selected this product for today’s review is because, as I alluded to in the opening, it’s getting close. And it is beach season. And I’m going to honest, my body is not right where I want it to be. I’m not that far off, but I know my figure can look better. Right now I’m not super pumped about how my trunk and upper legs look. These are the areas that I take great pride in, and where I’ve been focusing a lot of my efforts in the gym. What I always come back to when thinking about how to best clean up my abs is that it’s not a function of what you do in the gym. Yes, you can do crunches on crunches. But the number one most important thing that is going to give you great abs is just being lean. There are no shortcuts. Read about this from any respected trainer or fitness authority and they will echo the same. You want abs? Drop your body fat. And that’s why I bought some Diva Fat Burner Women Only. I wanted to get my abs fully ready for beach season. So did it work? As with all my fat burner reviews- I have a very consistent protocol that I follow to give the product the best opportunity to perform. I’ve found that a three week run ends up being about one full bottle worth of product, and is kind of the ‘sweet spot’ if you will. So I grabbed a 135 ct bottle of Diva from bb.com and prepared for the test. The serving size of Diva is 3 full capsules, meaning you actually get 45 servings, or ‘days’, out of a $40 bottle. That’s not bad value if you ask me. But of course depends if it worked or not right? So. Did it? Let me tell you the first time I took HIT Supplements Diva- you can absolutely 100% ‘feel’ this fat burner. And that’s probably the first and most important thing I want you to take away from this review. You get a very real feeling of energy from this product. But it actually goes much further beyond that. For me, I could actually feel the product jacking up my metabolism. If you don’t know what I mean- try and stay with me here: Have you ever eaten a big meal, and then afterwards you can kind of feel your heart rate go up, and usually you take off a layer because you start to feel physically warm? Yes? Good. What you are feeling there is the thermic effect of food. Your body’s metabolism is reacting to that meal and burning more calories to digest the calories. Sort of ironic right? Week 1: Very minimal change in body composition. This is not surprising because often times the product needs a little bit longer than this to kick in. I will say that the elevated energy is a welcome benefit of taking this product. I’ve been able to crank out work like a demon-lady because of how energized this product is making me. Week 2: I think that I’m starting to see some results start to manifest themselves in the mirror. I know I can’t ‘spot treat’ my abs, but in the mornings I think I can start to see some of the vertical lines start to pop like they used to. I think my shoulders have certainly leaned out a little bit thanks to Diva fat burner. Excited to see what the final week brings! Week 3: I’m confident that Diva is helping me get to where I want to be. I’ve been eating a ton, which is not what you’re supposed to do when trying to lose weight, but Diva has my metabolism spiked up so high that I’m going through calories like crazy. I’ve needed the extra fuel to stay ready for the workouts. In terms of effect- I’ve seen great improvement in my abdominals- starting to get super nice taper near the bottom and ‘v’ effect. My shoulders look better than they have in years, and my glutes are also coming along nicely. Awesome results from this product (combined with my hard work!). As you’ve read in my mini-log, the effects of Diva Women Only are actually quite noticeable. Ok now go ahead and ask: Are there any side effects to Diva Fat Burner? My answer is not really. I personally did not experience any side effects of taking Diva. But one thing I do want to re-iterate is that this product is very stimulant intensive and will absolutely jack up your metabolism. Don’t be afraid to eat when you are on it. Speaking of stimulants- what’s actually in this product? These five ingredients are generally accepted as safe ingredients, and are also highly effective at burning fat. I attribute any and all positive effects of this product to them. The coleus forskohlii extract might be at play, but I suspect there is a very minimal amount of this ingredient in here judging by it’s position on the label - as the very last in the list of the ‘fat blocker’ blend. They say over half of what determines if someone will purchase a product again is the user experience of the product. Some say this will even trump how effective (or lacking) the product actually is! User experience your asking. What does that have to do with your review of this fat burner? Think of it this way- every single product has a user experience. We all hear the term and think instinctively of how we interact with our iPhones, but user experience, or ‘UX’ extends beyond technology. Every product has a UX. Where am I going with this? Well, Diva has a user experience. It starts with the packaging- before those pills even first enter your mouth. And the Diva user experience is actually quite pleasing to me. It comes in a nicely made cardboard secondary package- which adds excitement and a tone of richness to the product. The label itself doesn’t blow me away with it’s standard pink and black palette. But the fact that HIT went the extra mile to spend some money on a secondary package is meaningful. And that’s why I’m giving it an A for packaging. Lets summarize HIT Supplements Official BPW review shall we? You’ll notice the value of this product is a respectable B+. At $40 for a roughly six week supply- that is very reasonable in my opinion. Especially given that the product works well, is formulated rather intelligently, and has strong packaging. Overall this is a winner in my opinion, and a very real contender for the BPW Best Fat Burner for Women 2015. As always, stay tuned for more fat burner reviews to come as we inch closer to this year’s top ten!